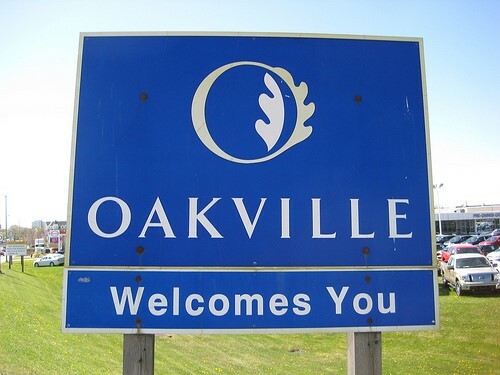 Named Canada’s Best Place to Live by MoneySense Magazine, Oakville is a town that values community, diversity, and inclusivity. The community centres in Oakville embody and promote these values, providing residents with opportunities to interact with people who share the same principles and interests. Oakville is home to multiple community centres that cater to the interests and needs of a wide range of residents. These community centres bring together newcomers and long-established residents of Oakville, creating a fun and safe environment to connect. These centres not only give residents the opportunity to meet people and make friendships, but they also offer a wide range of educational, social, and physical activities. The wellbeing of Oakville’s residents is important to these community centres, which is why they offer many accessible opportunities for all walks of life. Here are the community centres Oakville residents enjoy. Located on Third Line, Glen Abbey Community Centre offers a fitness centre, a pool, squash courts, and community rooms. It is also a branch of the Oakville Public Library and is home to the Oakville Gymnastics Club. Features include competitive and leisure swimming pools, a fitness centre, an outdoor skate park, and outdoor tennis courts. 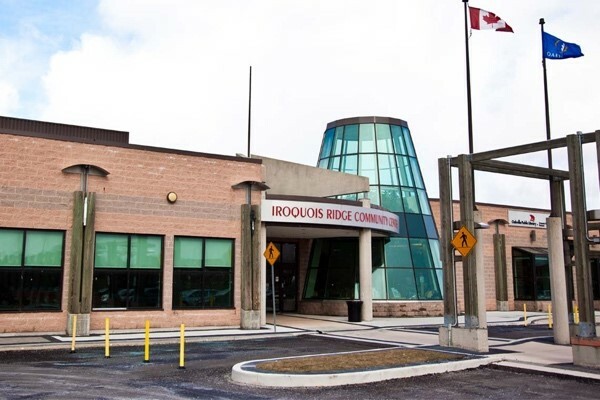 Located on Glenashton Drive, the Iroquois Ridge Community Centre is a branch of the Oakville Public Library and has an Older Adults Centre. 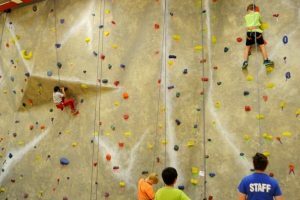 It also hosts pre-registered classes, camps, and drop-in programs. Situated in west Oakville on Bridge Road, Queen Elizabeth Park Community and Cultural Centre (QEPCCC) has a pool, fitness centre, and a rock climbing wall. They cater to young and older audiences with a variety of different programs, galleries, and museum spaces. QEPCCC also offers a number of great opportunities for artistic residents, boasting dance, arts, and recording studios, as well as a rehearsal hall and black box theatre. 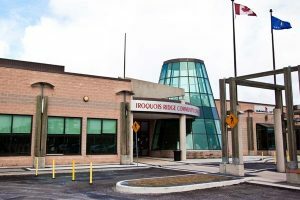 The River Oaks Community Centre offers a variety of programs and classes that attract people from a wide range of backgrounds and interests. The fitness studio features an aerobic floor, indoor track, and spinning studio. Public skates, hockey programs, team training, and other programs are great for hockey players and ice skaters. They also offer personal training, nutritional counselling, fitness and wellness assessments, and massage therapy. 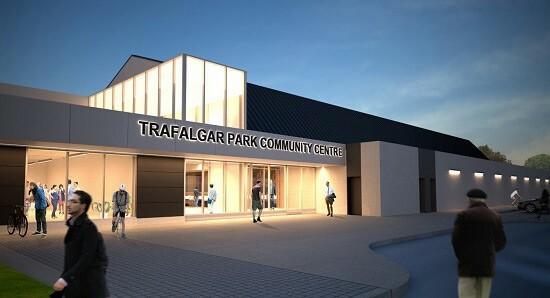 Trafalgar Park Community Centre, once known as Oakville Arena, boasts an ice pad, a double-gym, indoor running track, and a fitness centre. Redeveloped in 2018, the centre offers a variety of camps, classes, drop-in programs, programs for ages 50+, and hockey programs.